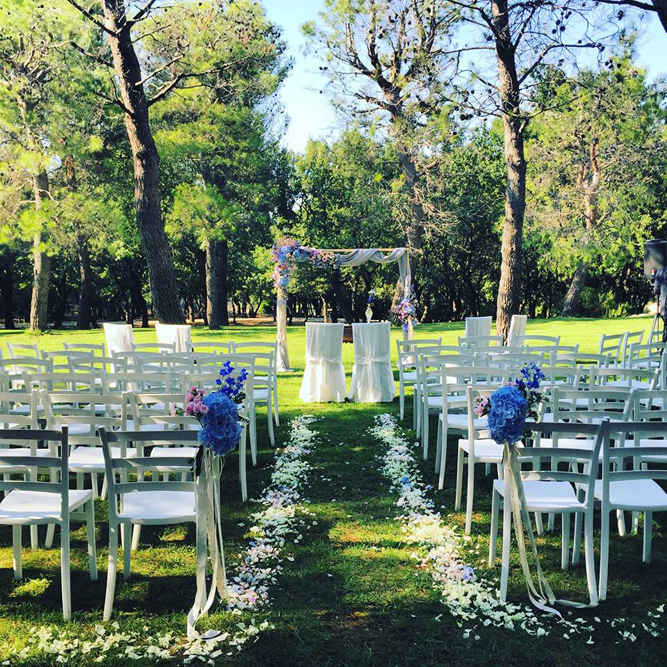 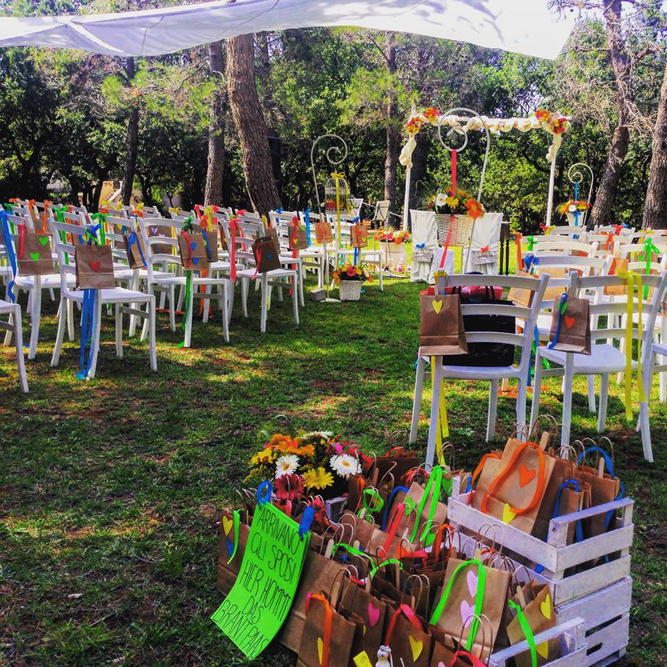 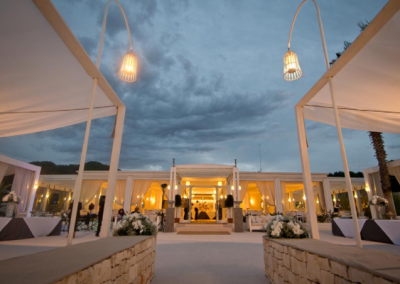 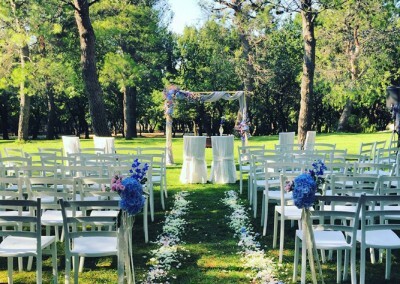 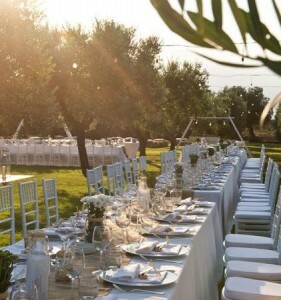 A beautiful wedding venue located in a peaceful, rural area on the outskirts of Selva di Fasano. 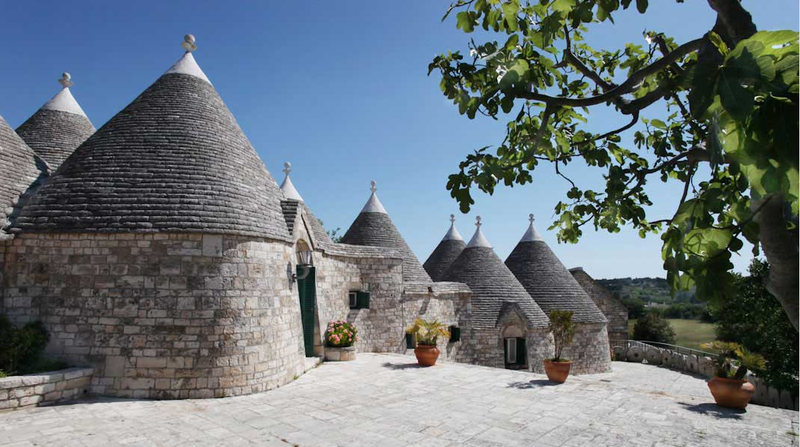 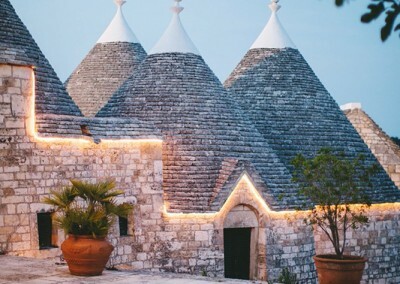 A set of cone-roofed “Trullo” houses unique to the Puliga area and tufa- stone “Masseria” villas are surrounded by pines, gardens and orchards. 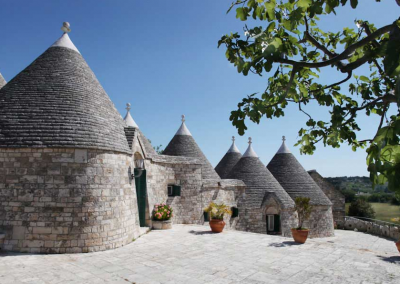 Originally a convent dated 1790, the cluster consists of 28 trulli, where the Benedictine nuns used to perform their daily rural routine. 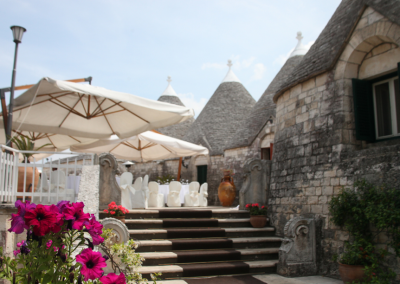 The old kitchen of the monastery and the stable have been converted in one of the most characteristic restaurants in the area. 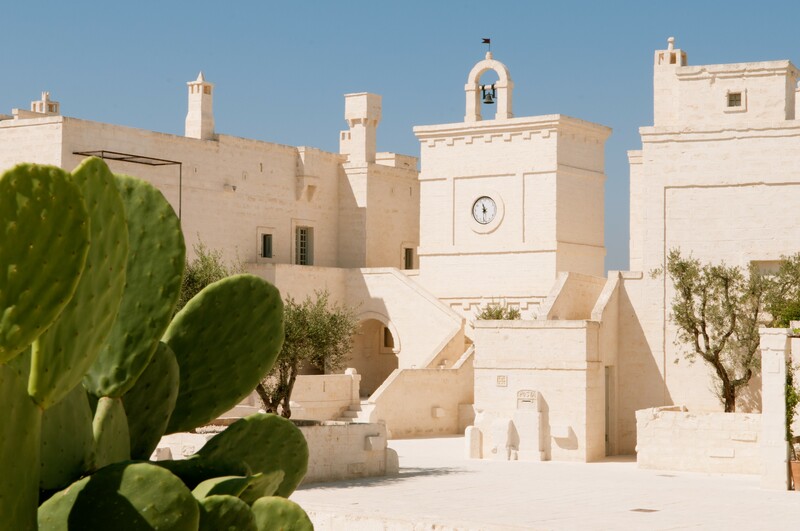 Not far from the trulli village, six white buildings called Masseria (Italian for “country house”) were built on the ruins of old houses. 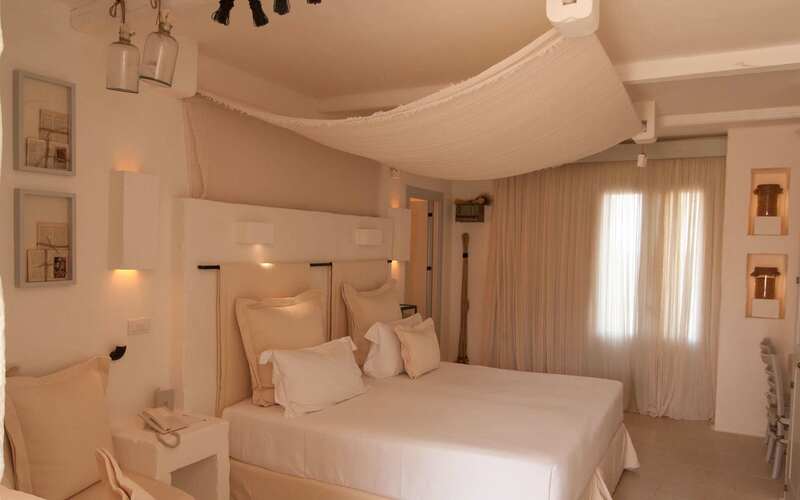 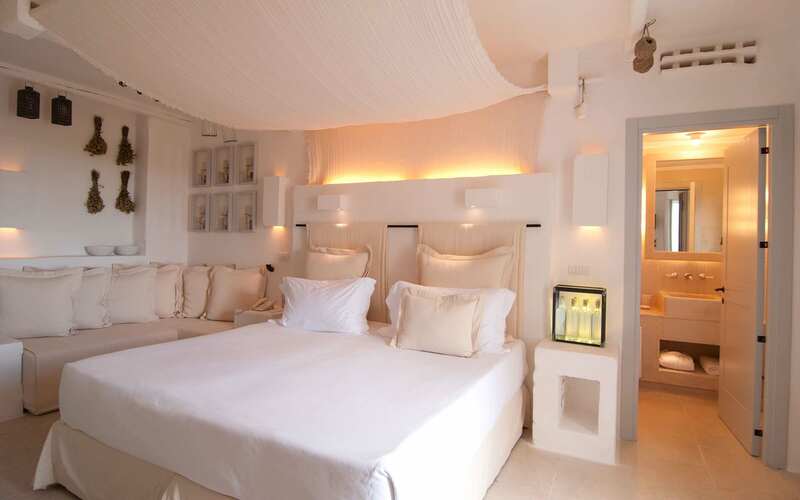 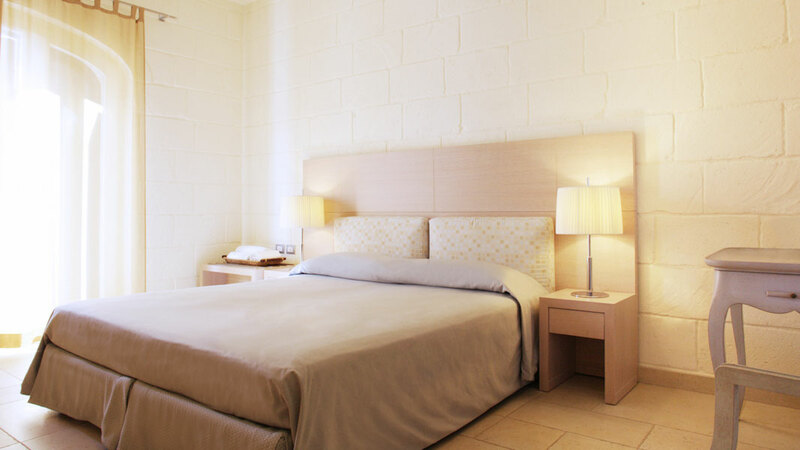 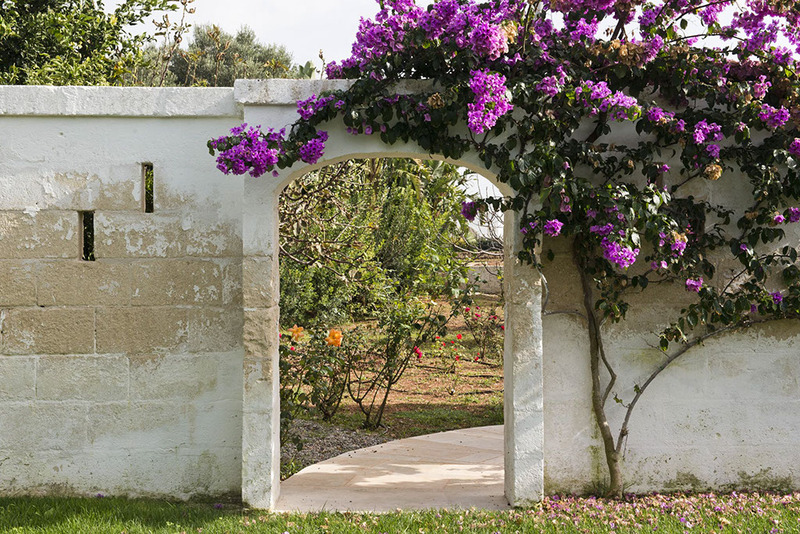 Each masseria has a number of modern bedrooms equipped with air conditioning and central heating, mini-bar, LCD TV set, direct telephone, hair – dryer, safe and satellite channels. 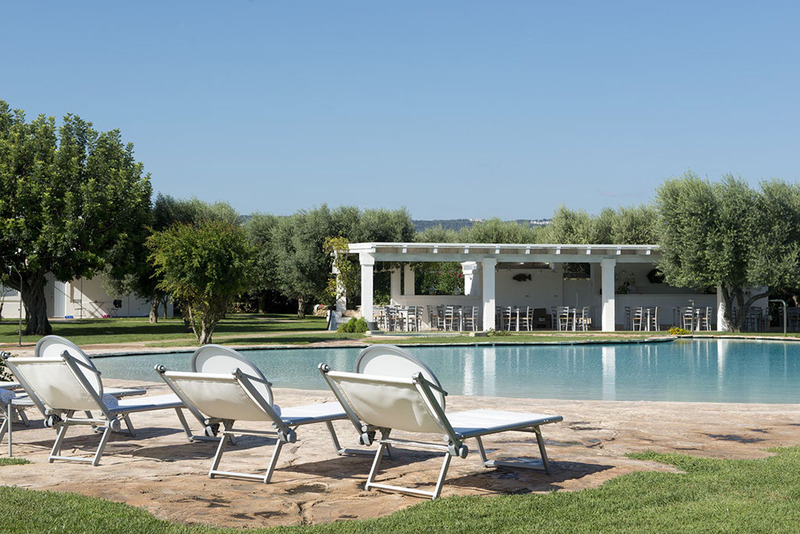 In this fairy-tale location, Tenuta Monacelle holds “Il Ciliegeto”, the restaurant where refined and typical Apulian dishes are prepared by a professional and friendly staff. 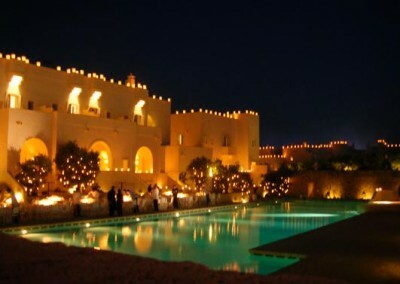 Guests can have dinner on the breath-taking terrace overlooking the cherry garden or lunch by the swimming pool. 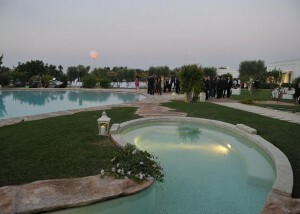 For a sample wedding plans for 80 guests at this amazing wedding venue in Puglia click here. 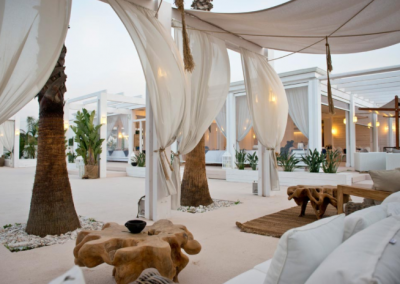 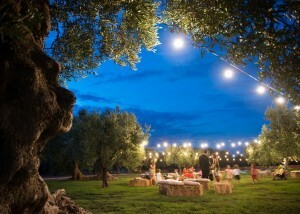 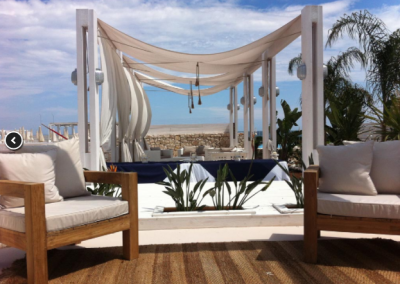 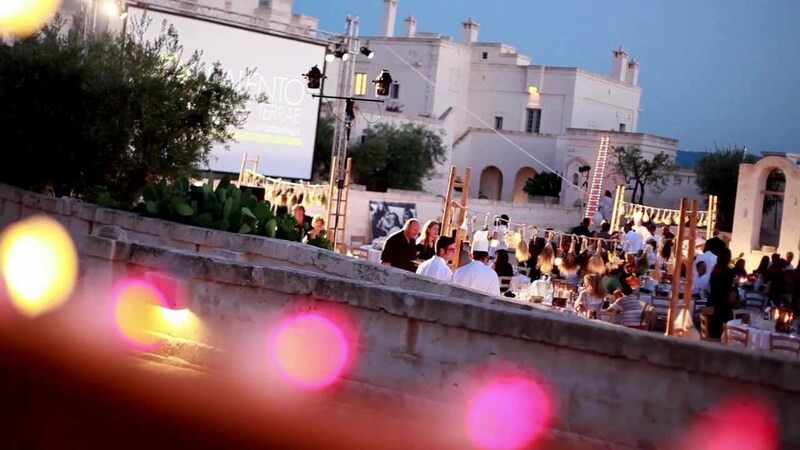 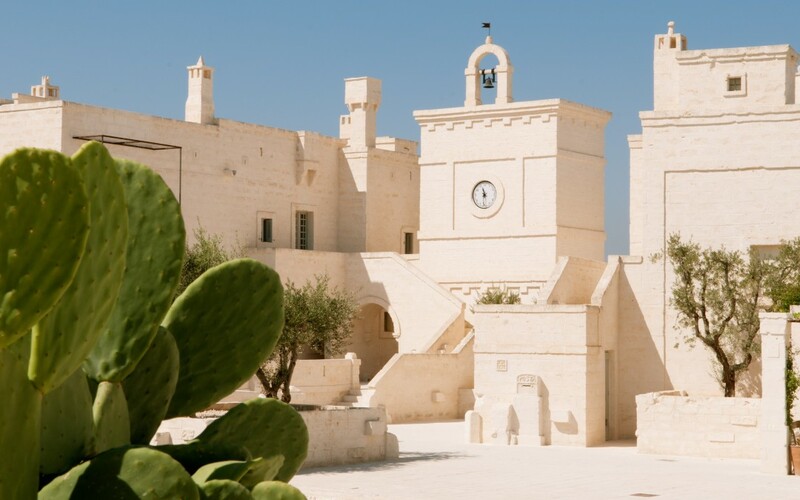 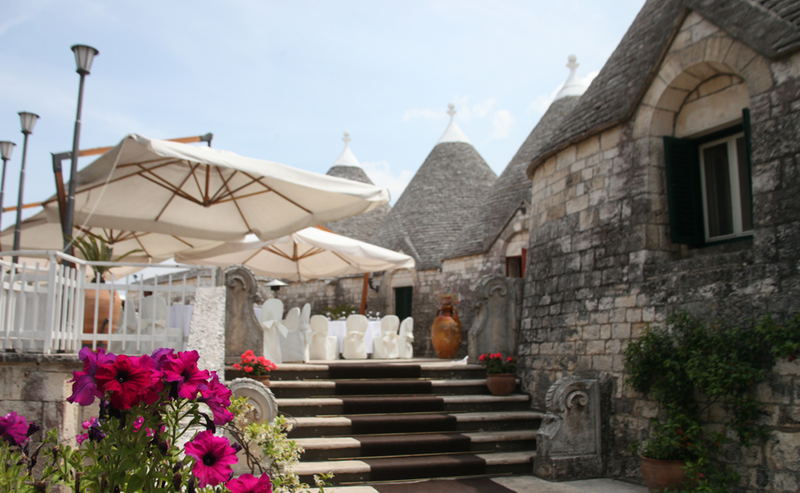 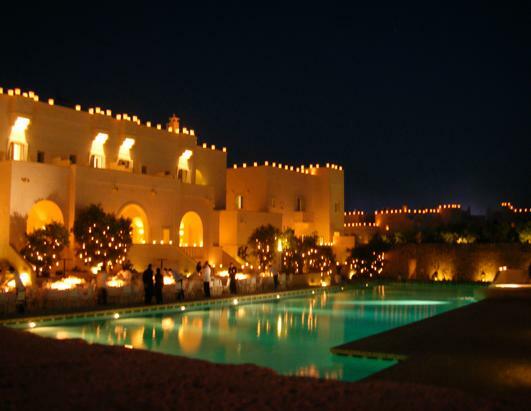 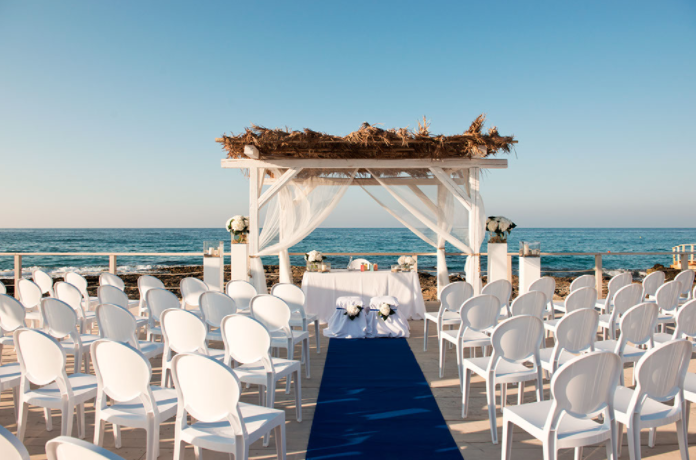 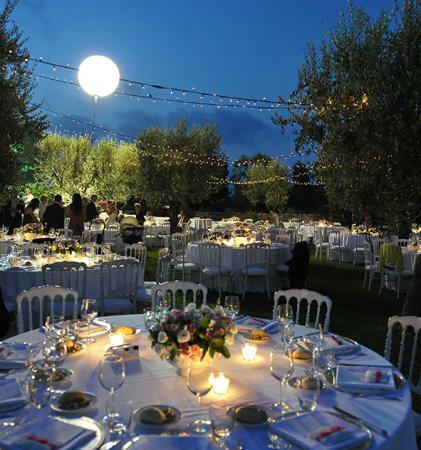 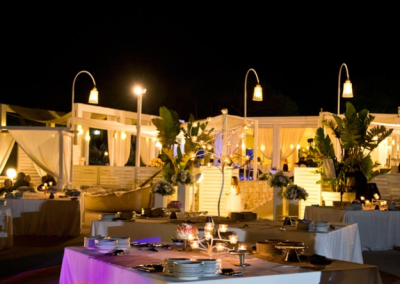 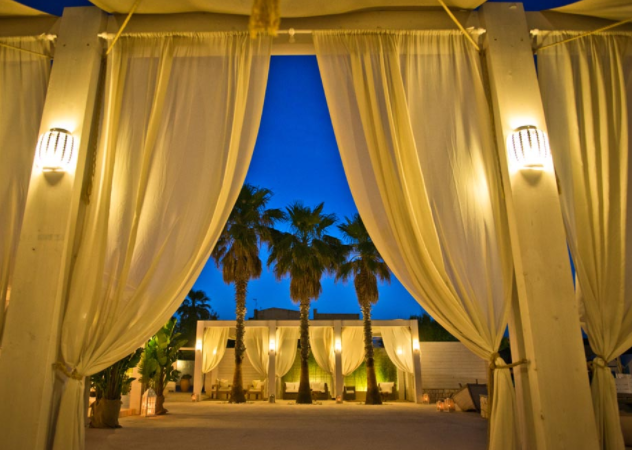 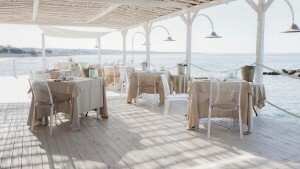 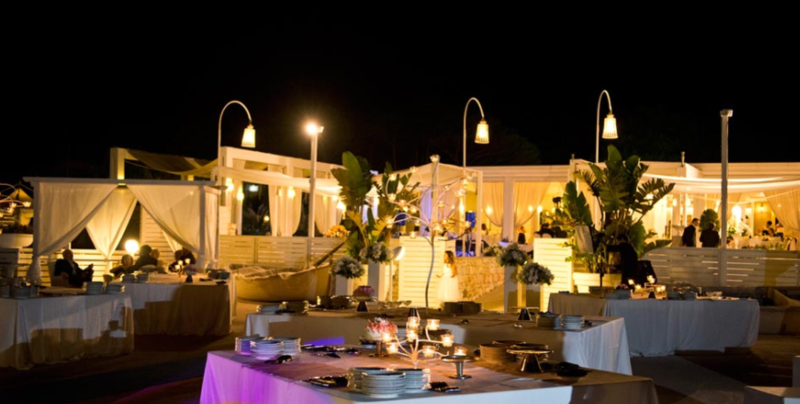 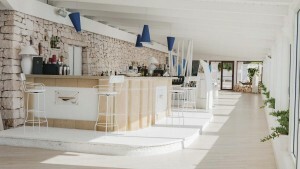 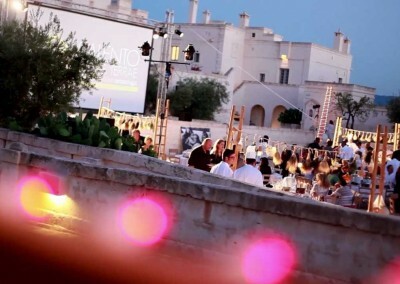 For a sample wedding plans for 140 guests at this amazing wedding venue in Puglia click here. 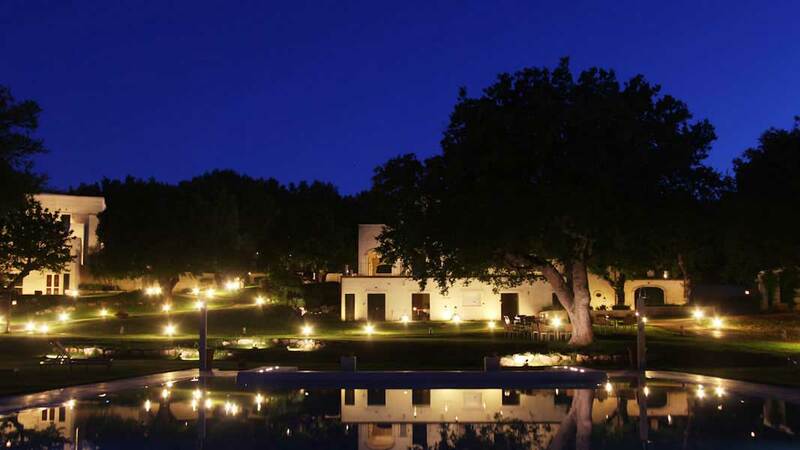 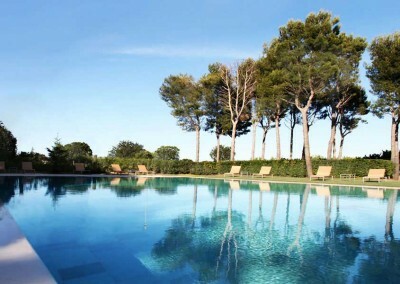 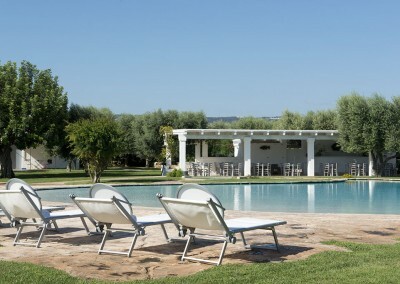 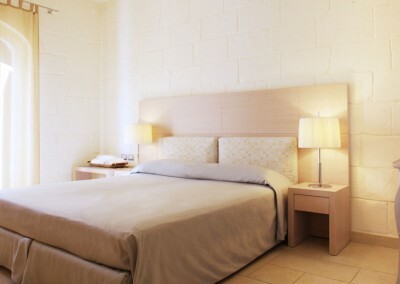 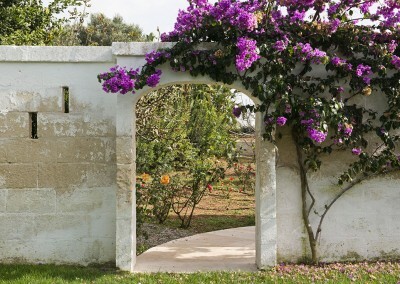 Elegant and relaxing masseria located on the border between Altosalento and the province of Bari. 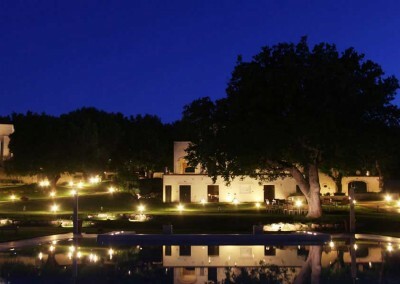 lights you can find a wonderful garden, bar area, Jacuzzi and a swimming pool not to be missed! 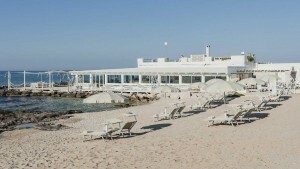 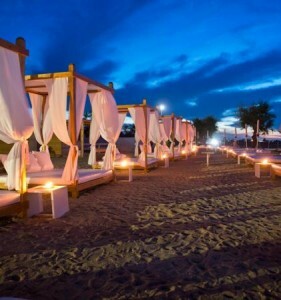 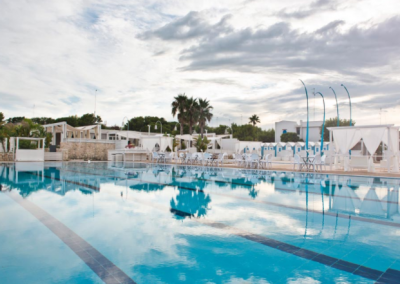 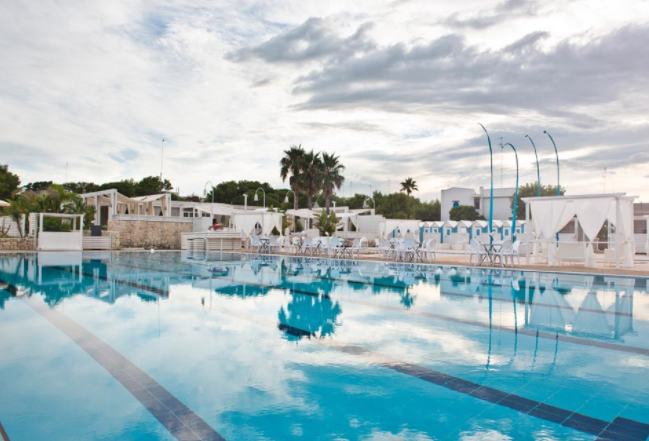 The venue consists of 14 rooms and is located at 50 minutes from the Bari airport, 2 km from the train station and 30 minutes walking distance from the beach. 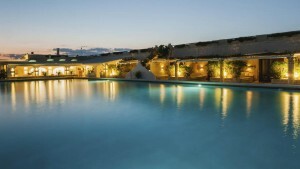 Breakfast, Wi-Fi and pool service are also included and with the possibility to have pre/after party. 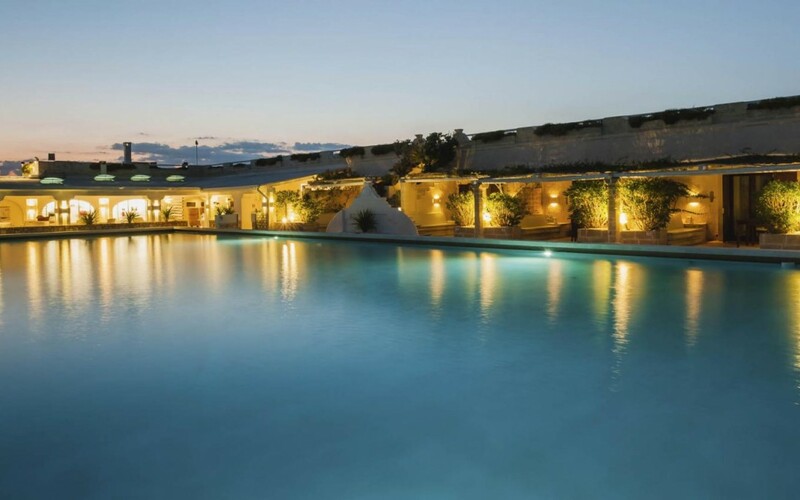 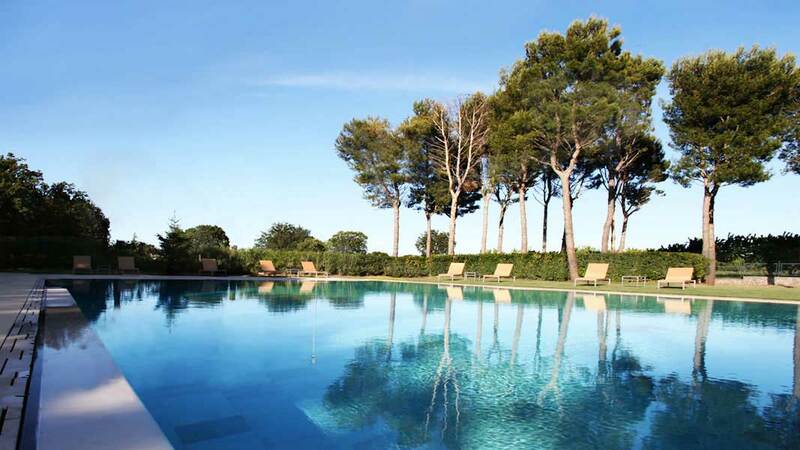 This luxury resort is situated overlooking the Adriatic sea and surrounded by the beauty of the rural landscape of Puglia. 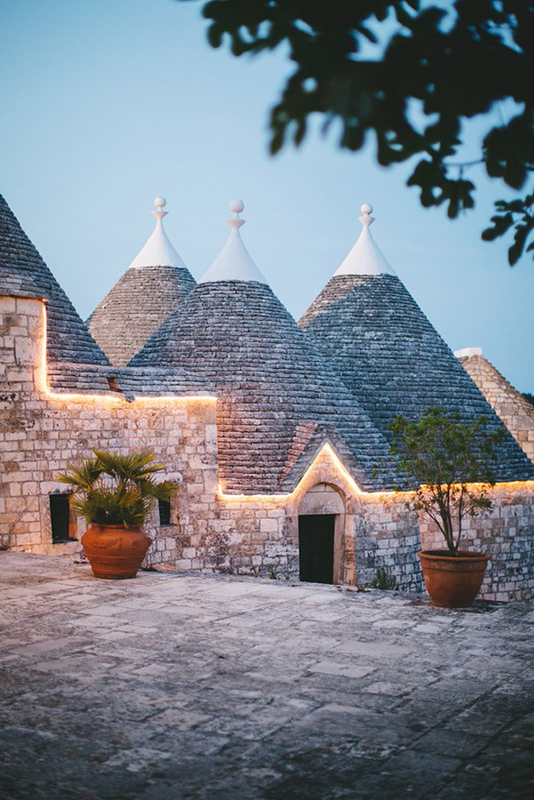 The internal and external architectural design is reminiscent of a traditional from the Apulian village. 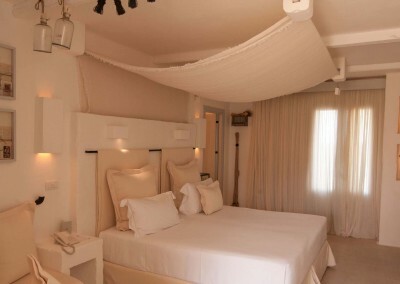 This magic place is suspended in timeless tradition reflecting simplicity, elegance and the highest attention to details. 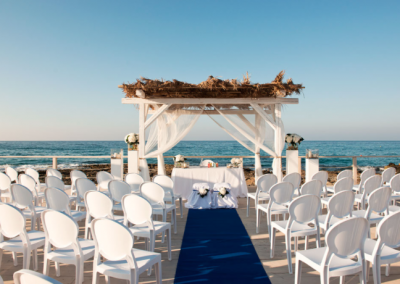 This gorgeous resort is the perfect place to celebrate your wedding day! 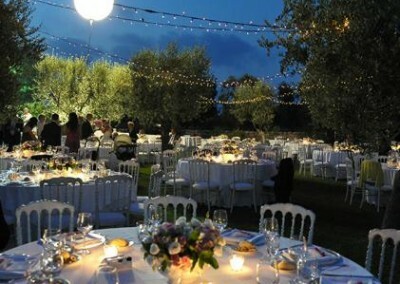 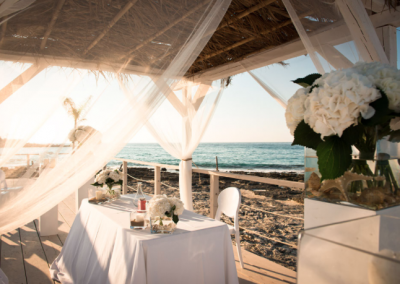 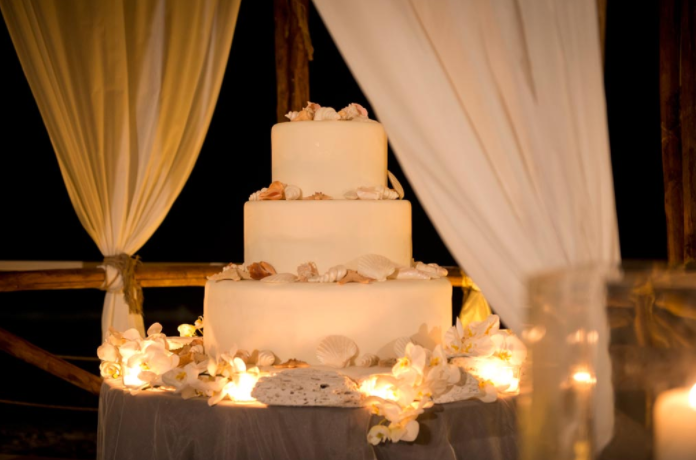 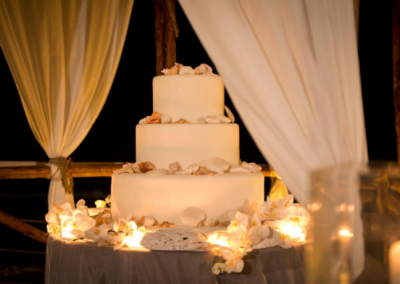 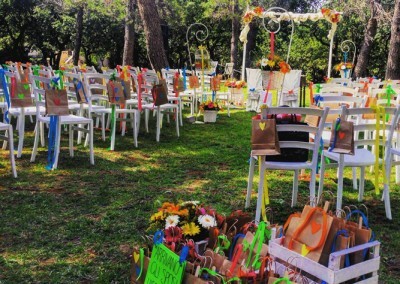 For a sample wedding plan for 80 guests at this amazing wedding venue in Puglia click here.